Nuclear fusion power plants are a dream fusion scientists have been chasing for decades, and it’s always been just out of reach. Until now, the enormous size and heat involved in a fusion reactor large enough to produce utility-scale power made projects like that very expensive. As with many things, the ability to make a fusion reactor smaller also makes it less expensive and easier to build. In addition to being more economical to build, the superconductors in the smaller modular fusion reactor are strong enough to increase fusion power by about a factor of 10 compared to standard superconducting technology, says PhD candidate Brandon Sorbom, who co-authored the report with Whyte and 11 others at MIT. 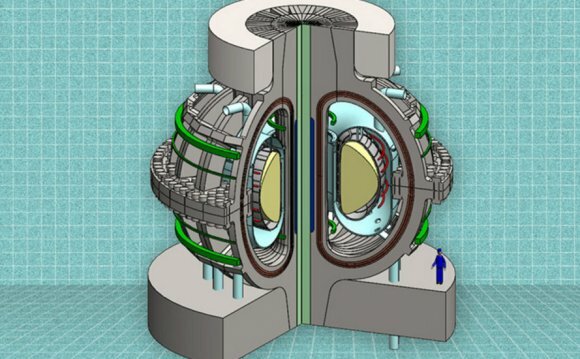 For perspective, Sorbom explains the world’s largest planned fusion power plant- a huge device called ITER that is under construction in France – was designed before these new superconductors were available and will cost $40 billion. If the same power capacity were to be achieved using MIT’s new design, Sorbom and the MIT team estimate the reactor would be about half the diameter or ITER and could produce about the same amount of power for a fraction of the cost, while being built in a shorter span of time.